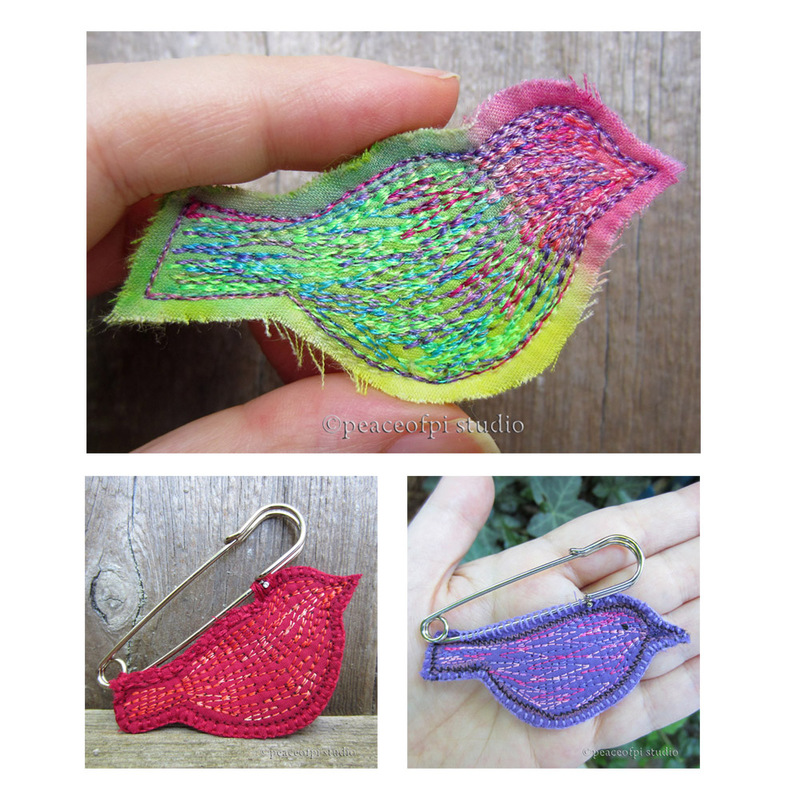 Three new bird brooches stitched with colourful variegated threads. Imagine these birds pinned to a bag, jacket or shirt. They make a statement at 2.5 to 2.75 inches long. Confession - sewing these tiny fabric treasures is way too much fun. 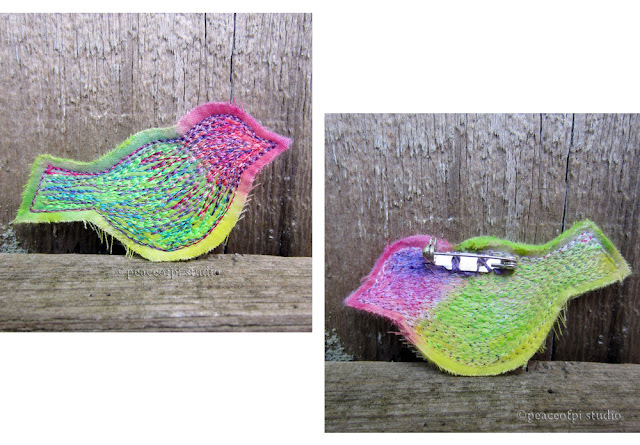 The multicoloured bird in fuchsia and yellow-green is hand dyed and has a locking bar pin on the back. 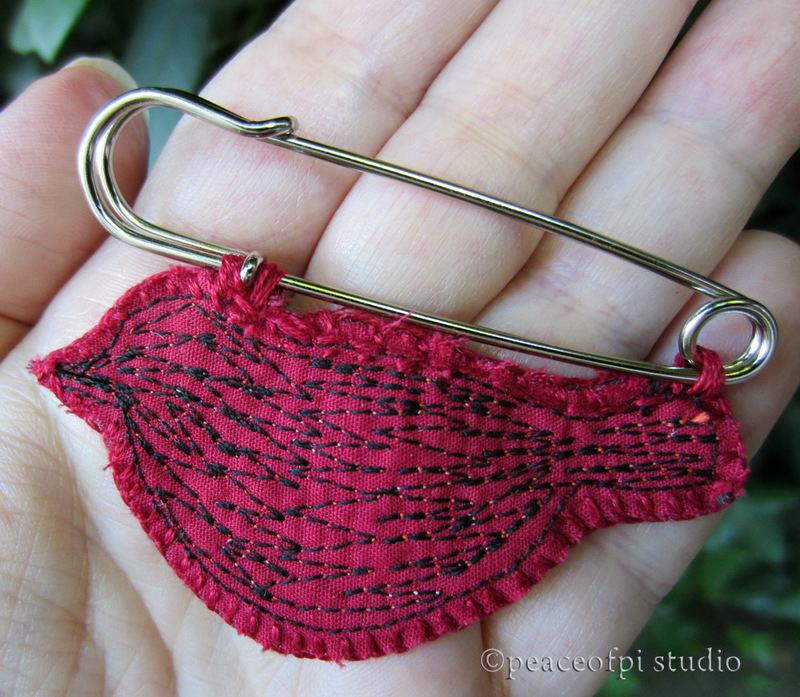 It's inspired by an adorable little bird called Lulu's Tody-Flycatcher. The other two birds, one in garnet red, the other in violet purple, are inspired by my love of silhouettes. Both are topped with big silver kilt pins and are reversible, with the flip side stitched in black thread for a different look. Fun, quirky and a little bit fashion-radical. Find them in my online shop. Which is your favourite?